Wild hickory seeds have to survive cold winters to germinate in the spring, which makes their shell nearly impenetrable by conventional nut-cracking means. Although you can't break through the hickory shell easily, you can strike it at the point the six shell segments converge to open the nut. Hickory shells have tough tissue, called septum, separating the two nut "halves," which are actually two seeds; if you strike the shell at the lower portion near the stem end, the segments separate, leaving the nuts in a few pieces. You can also buy hickory-nut openers in specialty food stores. Wash the hickory nuts, rinsing any dirt and debris from the shells. 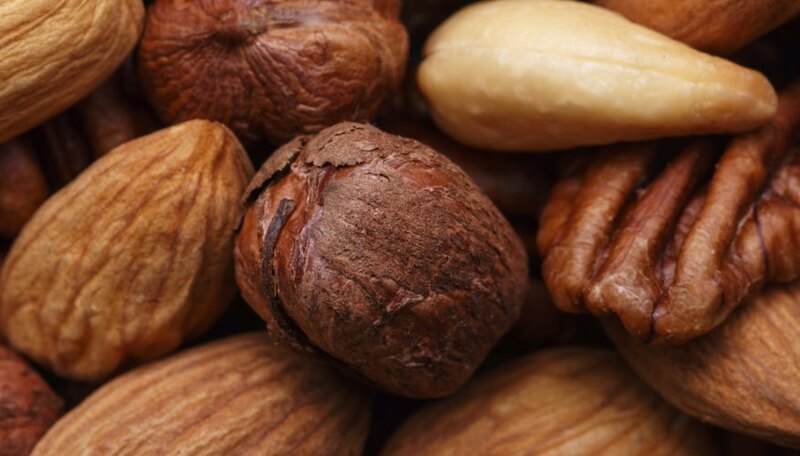 Dry the nuts in an area that gets full sunlight for 24 to 36 hours. Turn the nuts over halfway through drying. Set the hickory nuts on the work surface. Position the nut so the stem points to the right or left. Strike the hickory nut about one third of the way down the shell, near the stem end, using a hammer. If the nut slips from the work surface when you strike it grip it with pliers.